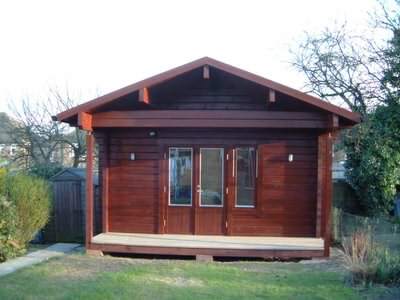 For many people, log garden cabins have been a great solution to various situations. Lack of space in the home is common, and therefore a good reason to get one. Another reason for a garden cabin is that some don’t want a particular activity taking place in the house. Also for some, the option of one of these buildings provides them with an opportunity to enjoy their garden more. Others find that a completely separate space from their normal living environment is the best solution to their needs. Whatever you want a cabin for your garden, make sure you get the right one! So why have log garden cabins become so popular? Well for one thing most of them are small, so in countries that have quite restrictive planning requirements, many of them can be put up without any need for planning permission. Also, being small means that the logs and other materials are quite easy for the average man on the street to lift and therefore they are able to put it together. This puts the budget of such cabins within the reach of many and hence their popularity has increased. At the present time too, when so much environmental awareness is all around us, a timber cabin also appeals on so many levels. 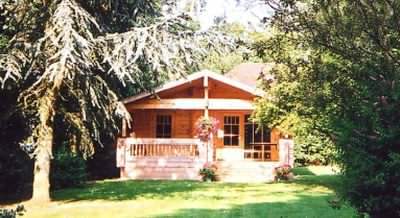 So what type of log garden cabins are available? These are great places to both enjoy your garden and have your creature comforts outside. If you get a nice summer house or sun room in the garden, you have the advantage of enjoying the great outdoors even if the weather isn’t great! They are a great place to spend a lazy afternoon snoozing, reading a book, or maybe surfing the net for ideas. 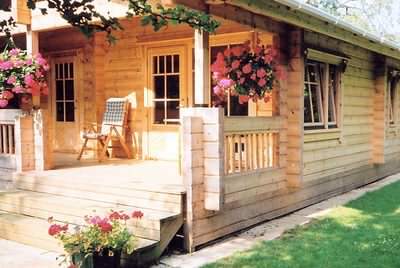 Discover more about how to choose the ideal log cabin summerhouse. Most of us don’t have enough space in our houses and some extra living accommodation would be most welcome. Well, log garden cabins could be just the answer! They can make a superb granny annex. A separate space can be less stressful if you have someone living with you 24/7, even if it is a close relative! Or maybe you just want some extra guest accommodation, so you don’t have to turf everyone out of their beds when friends and family come to stay. With many more applications, a log cabin in the garden can provide excellent extra living space. We reveal what aspects to look at for a granny annexe. Kids driving you mad with their computer games, or maybe you haven’t got enough room in the house to play table tennis or pool? A log games room provides a lovely space to enjoy various activities and games. Unlike plasterboard or other more brittle material, a few knocks or dents in the log walls will hardly be noticed. They also provide a very cozy environment for those long, dark winter evenings. We reveal more on the subject of a log cabin games room. Log garden cabins make an ideal swimming pool enclosure. The wood breathes which helps to deal with the damp atmosphere, and the good insulation values help to keep it warm. There are a few things you need to get right with log pool buildings, but follow our advice and you will have a great place to swim! Check out the swimming pool section. A relatively new phenomenon in the garden cabin range, but one that is becoming increasingly popular. It is great for those of you located in a rainy part of the world, as it allows you to get outside and have a nice BBQ without getting wet. The warmth it provides means you can enjoy long evenings chatting without having to flee back to the house to warm up! Discover more in our log BBQ hut section. Log garden offices have really gained in popularity in the last 10 years or so. This is primarily due to the internet allowing many people to largely work from home. Video conferencing, e-mail, virtual meetings, Skype and information accessed on business servers have really helped this market. That combined with doing away with the increasingly long and frustrating commute! Discover what you will need in your log office. 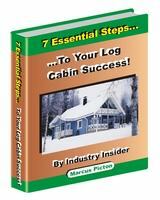 Need some pointers to help guide you with smaller log cabins in general? Make sure you pay particular attention to certain aspects of compact log cabins. Get these right and your garden cabin will be a place to enjoy for years to come. Take a closer look at small log cabins.